Power is the rate at which work is performed. A watt is a measure of electromechanical power defined as one ampere, or amp, of current flowing through a circuit with an electrical difference of one volt. An amp is a measure of current equal to 1 coulomb of charge passing through a point in the circuit each second. The calculation of a circuit's wattage requires you to know the amperage and voltage of the circuit. Determine the voltage of the circuit. Assume for this example the circuit has 110 volts, the standard house voltage in the United States. Determine the amperage in the circuit. Assume for this example the circuit has a light bulb drawing about 0.91 amps. Multiply the number of amps by the number of volts to obtain the number of watts in the circuit. The equation W = A x V shows this relationship where W is the wattage, A is the amperage and V is the voltage. This example assumes a voltage of 110 volts and an amperage of 0.91 amps. The light bulb therefore uses 110 x 0.91 = 100 watts. Marshall, James. 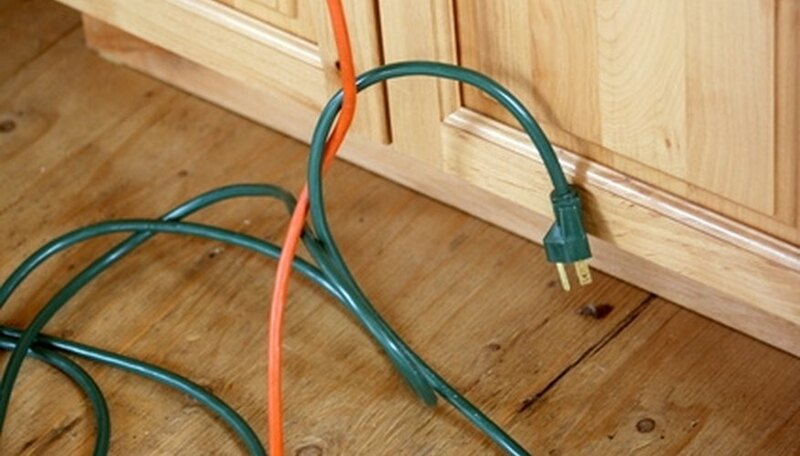 "How to Change Electrical Amps to Watts." Sciencing, https://sciencing.com/change-electrical-amps-watts-8402123.html. 24 April 2017.